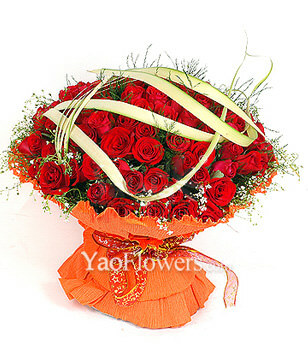 If you're looking for an instant way to get your beloved to open her heart to you, send three dozen long-stemmed roses. 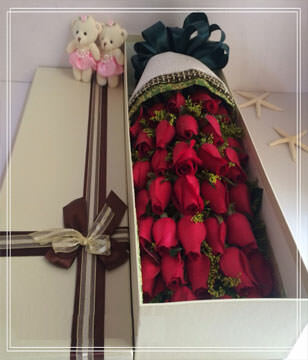 The ultimate expression of love, the long-stemmed rose is a flower of matchless beauty, and when you make it three days in a row, it's a matchless gift as well. 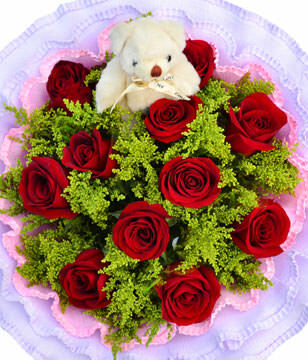 They will wow your recipient with our Deluxe Hugs and Kisses bouquet. If the third order is to arrive on a Saturday, make sure the recipient will be present at the selected address. I didn't expect such an incredible service. The flowers were great and the service precise.Thank you so much. Thank you, I am an American living in China and I ordered here to give my wife some nice roses and they turned out beautiful.